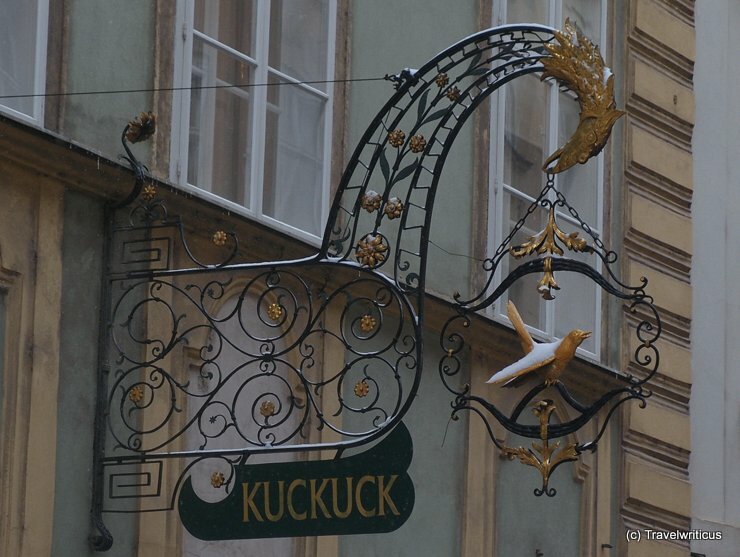 At the first district, a traditional restaurant named ‘Der Kuckuck’ is using a cuckoo as inn sign. I took this photo on a winter day. So I got the cuckoo covered with some snow. The restaurant is located inside a building with a façade of the 17th century. This entry was posted in Restaurants, Signs and tagged Austria, Vienna by Travelwriticus. Bookmark the permalink.